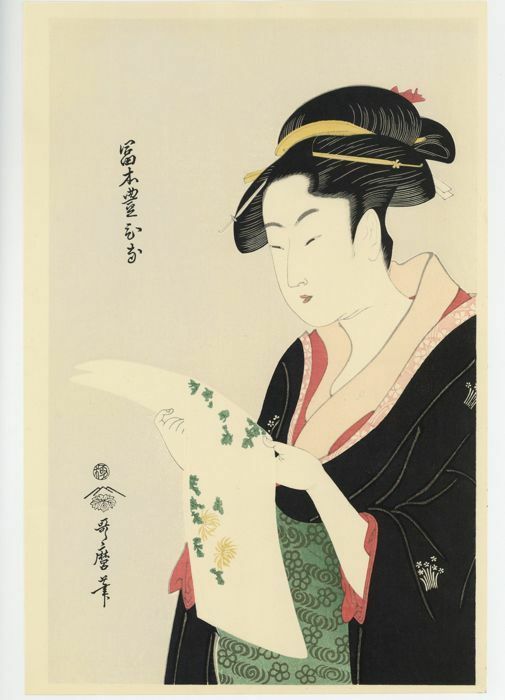 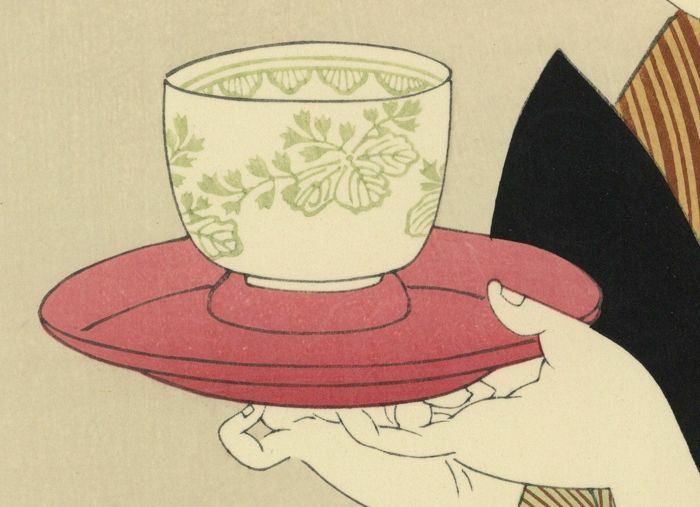 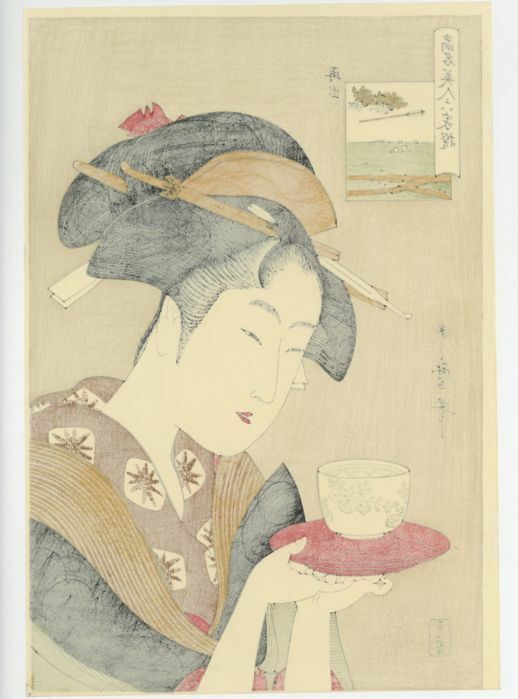 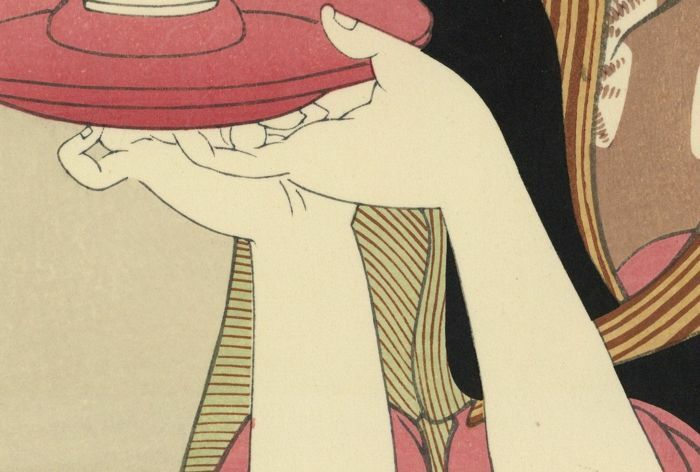 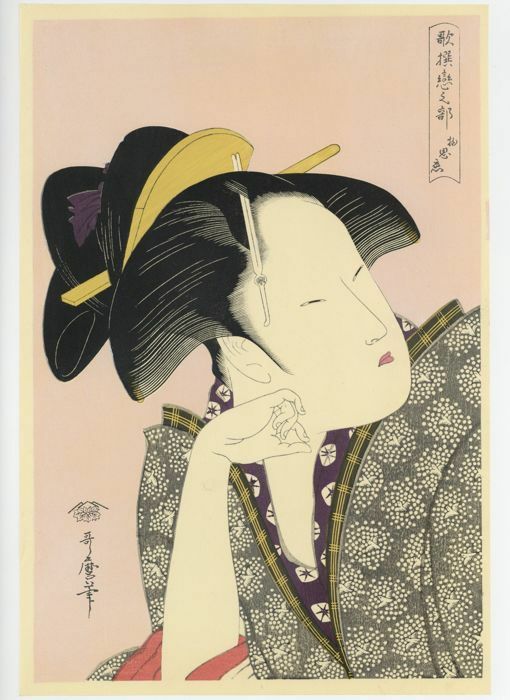 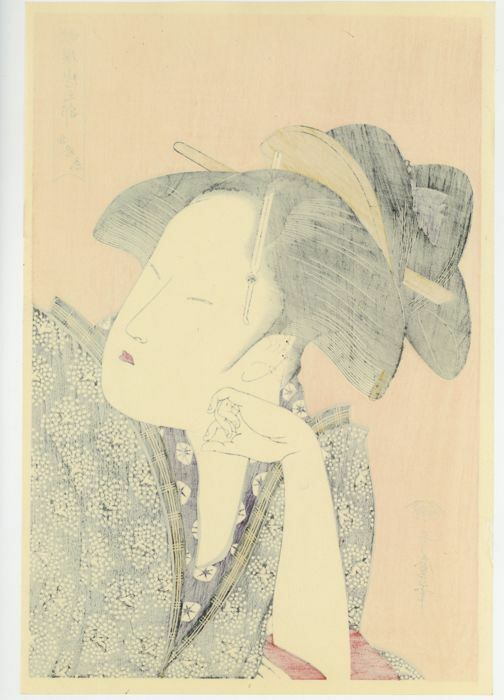 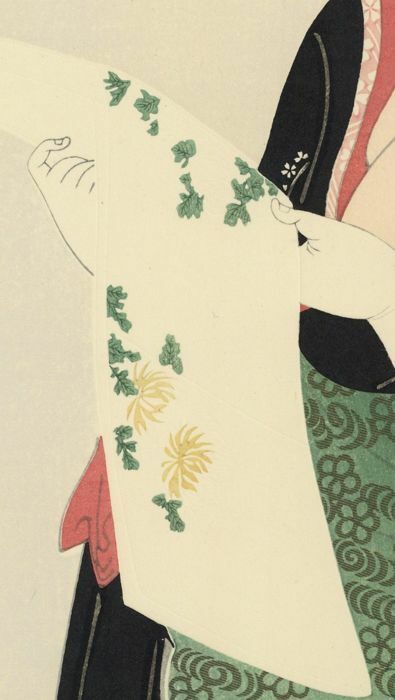 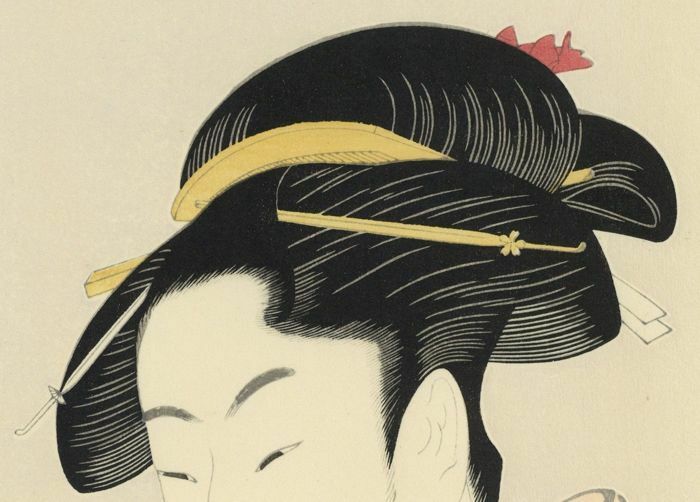 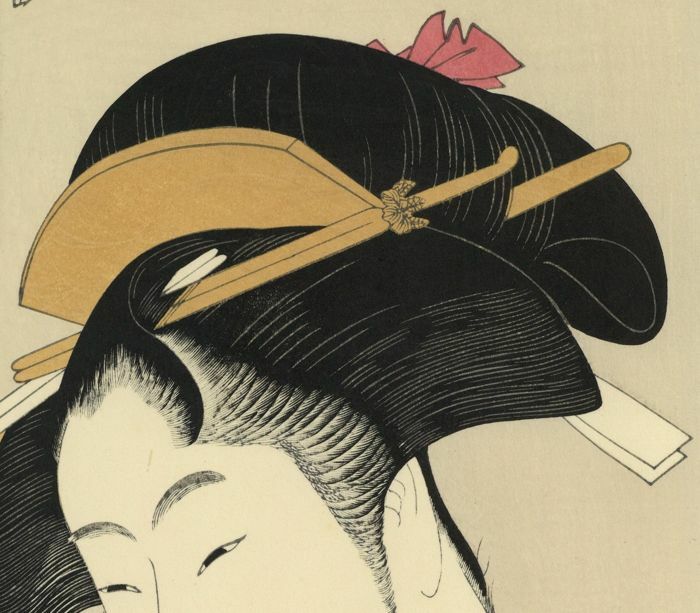 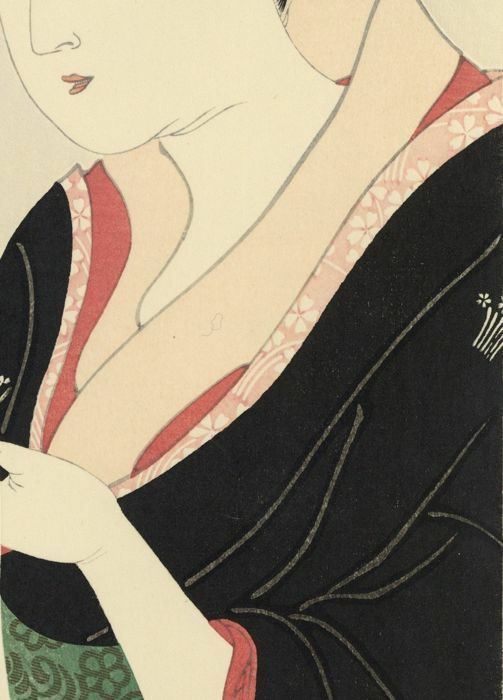 Kōmei Bijin Rokkasen is a series of ukiyo-e prints designed by the Japanese artist Utamaro and published in 1795–96. 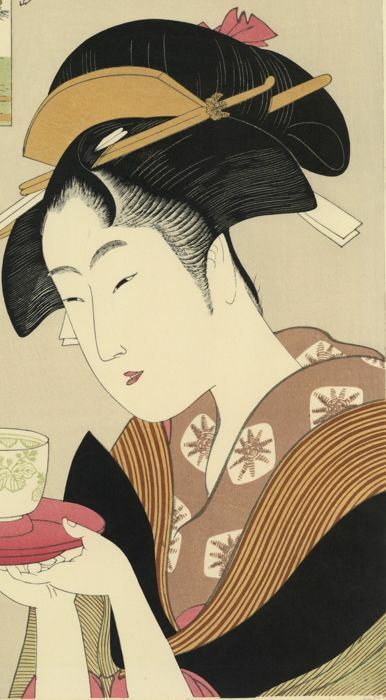 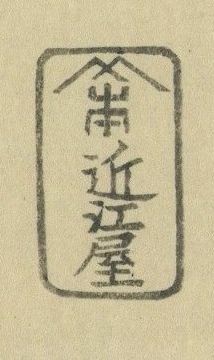 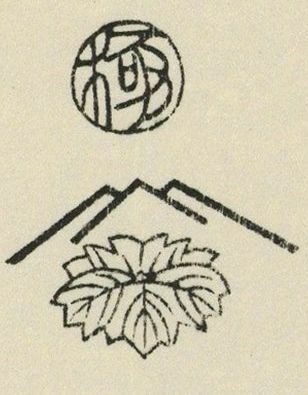 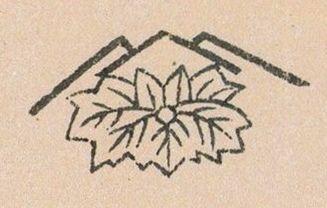 Tomimoto Toyohina was a Yoshihara Geisha of Tomimoto, same with Takashima Ohisasa and Nanbaya Okita, at that time it was a reputed beauty who everyone knew. 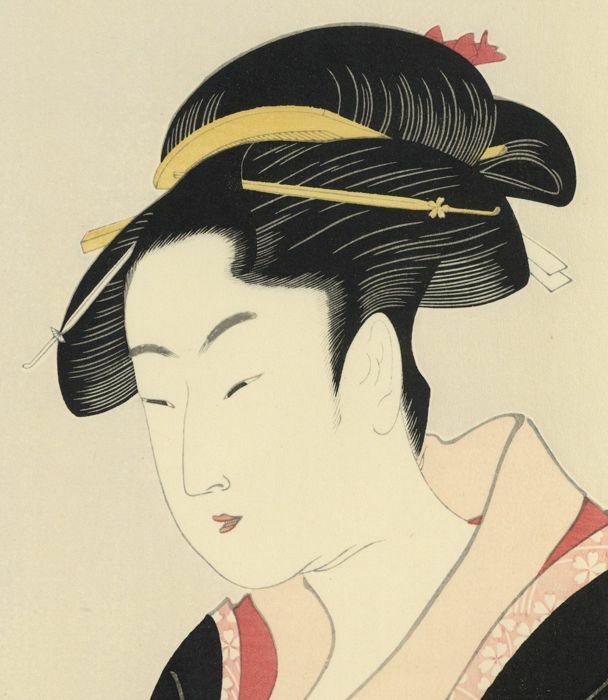 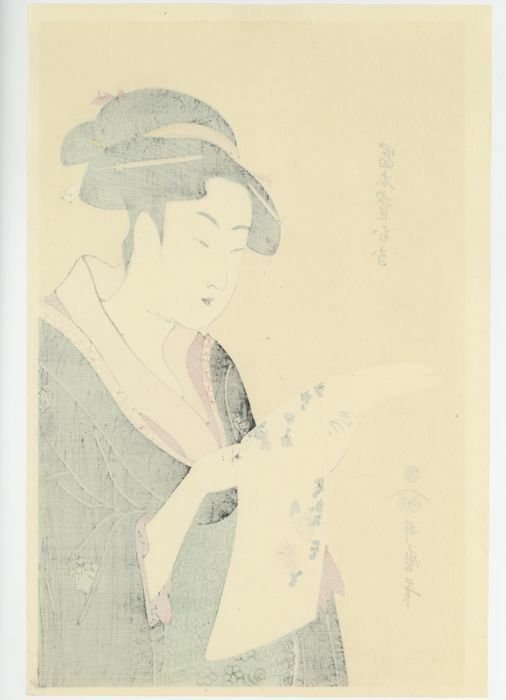 Kitagawa Utamaro was a Japanese artist. 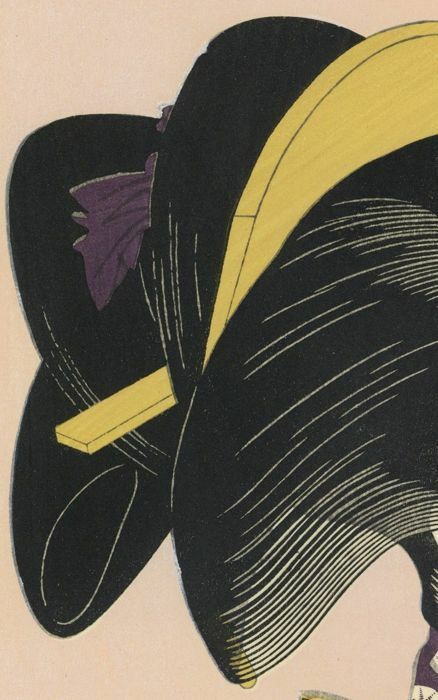 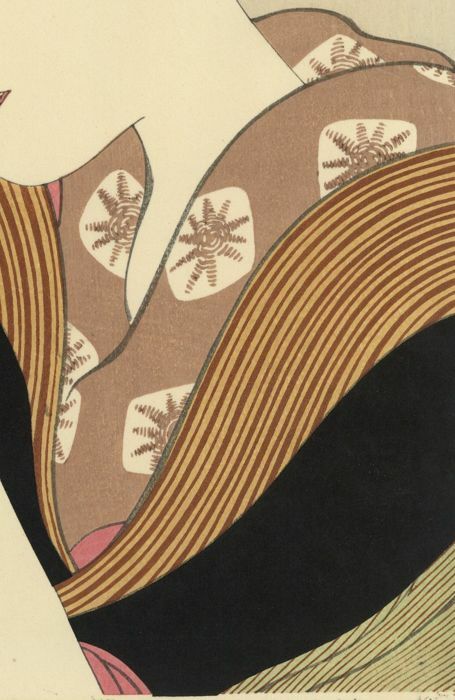 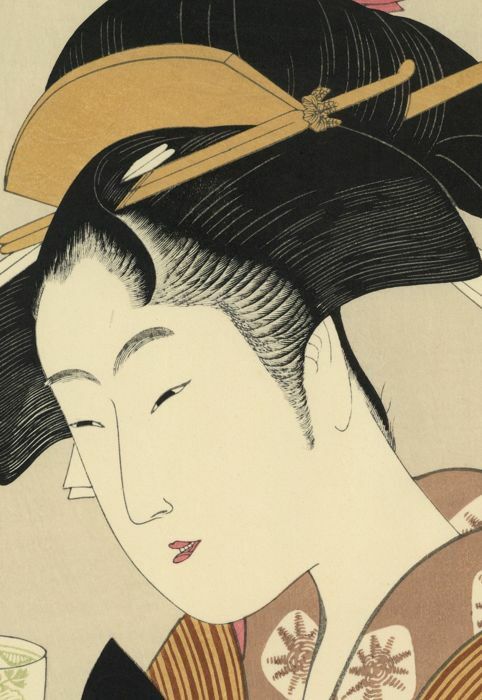 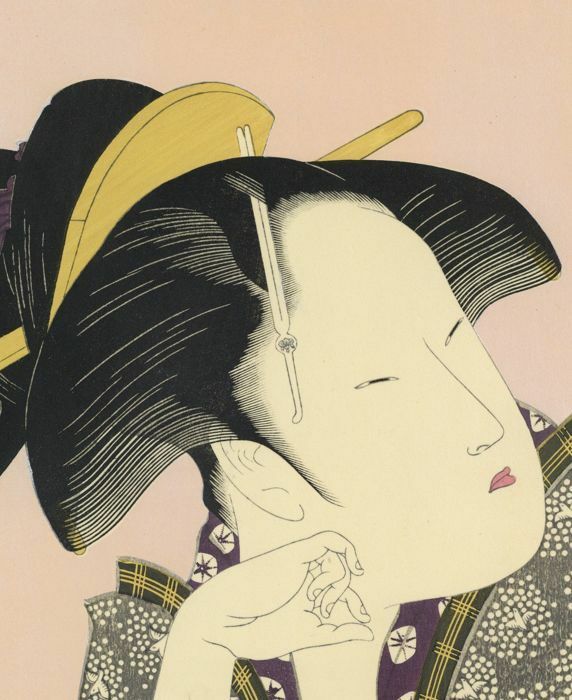 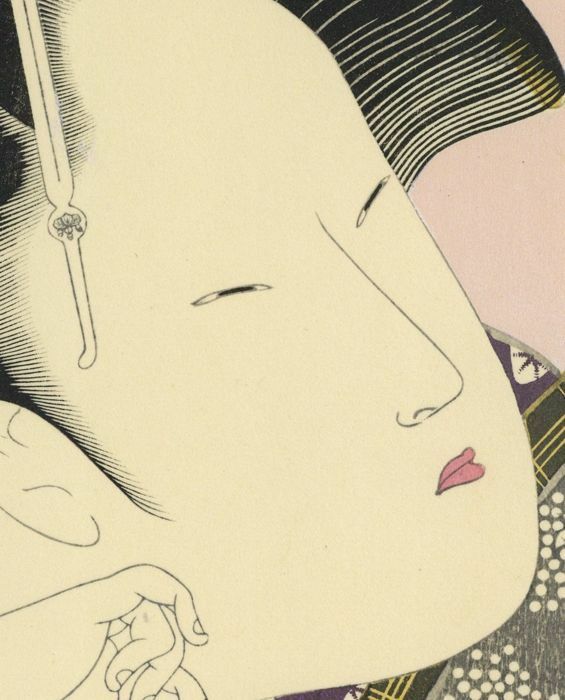 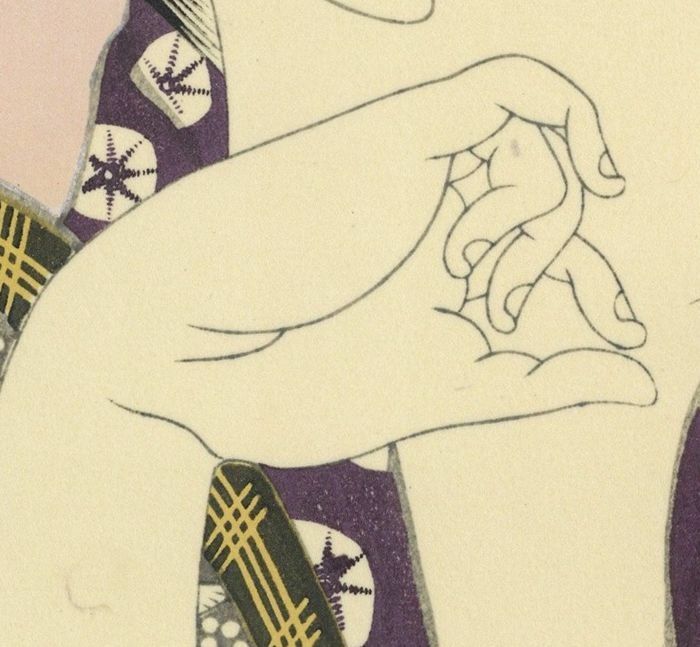 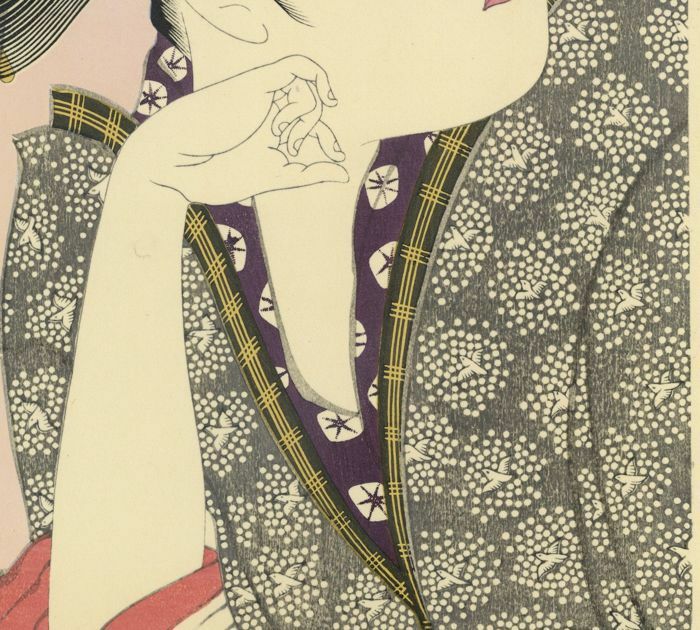 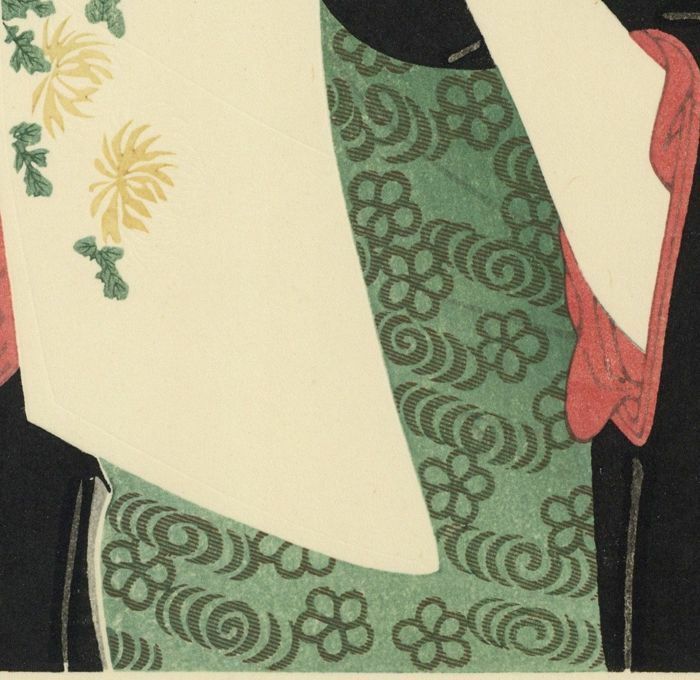 He is one of the most highly regarded designers of ukiyo-e woodblock prints and paintings, and is best known for his bijin ōkubi-e "large-headed pictures of beautiful women" of the 1790s. 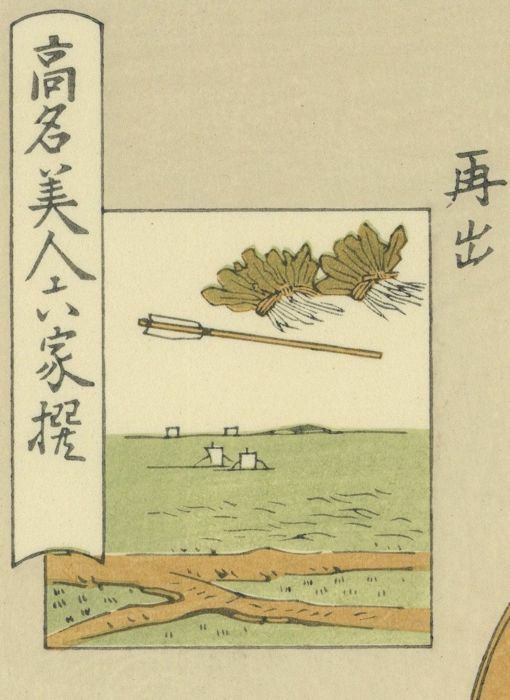 He also produced nature studies, particularly illustrated books of insects. 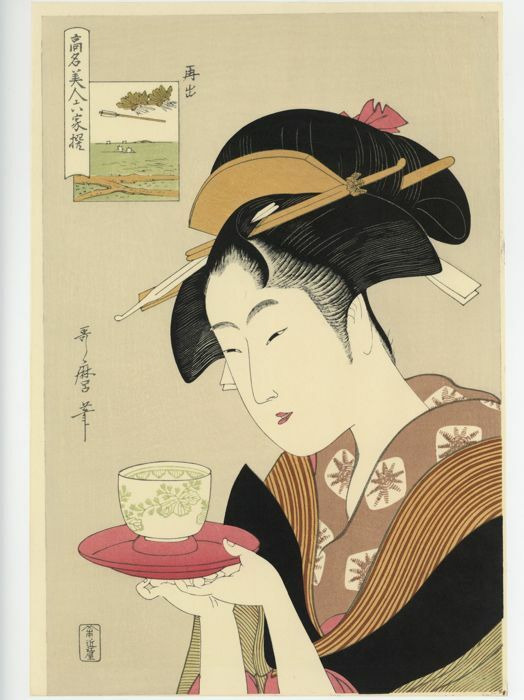 Voit noutaa tämän erän myyjältä: Toshima-ku (Tokyo), Japani.